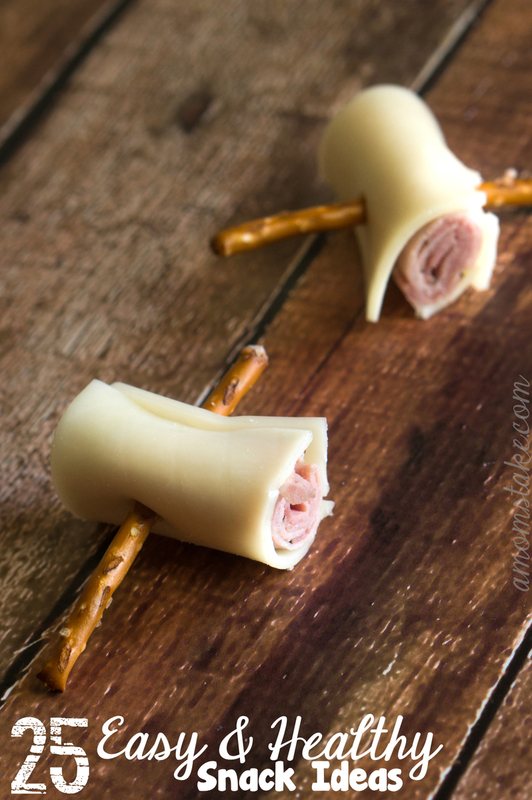 When the kids come home from school, one of the first things out of their mouth is usually “I’m hungry, can I have a snack?” These 15 fun after school snacks ideas will give you something you can feel good about sharing with your kids as they come into the door. Best of all, the variety from below will keep both of you happy without having out dish out the same snack day after day. These recipes are listed in the order they appear, row by row so you can easily find the right link. I have also saved all of these recipes into a Foodie.com collection so you can easily browse and save any of these recipes on Foodie! Here’s my collection: Flip through the recipes and let me know which of them your kids would like best! 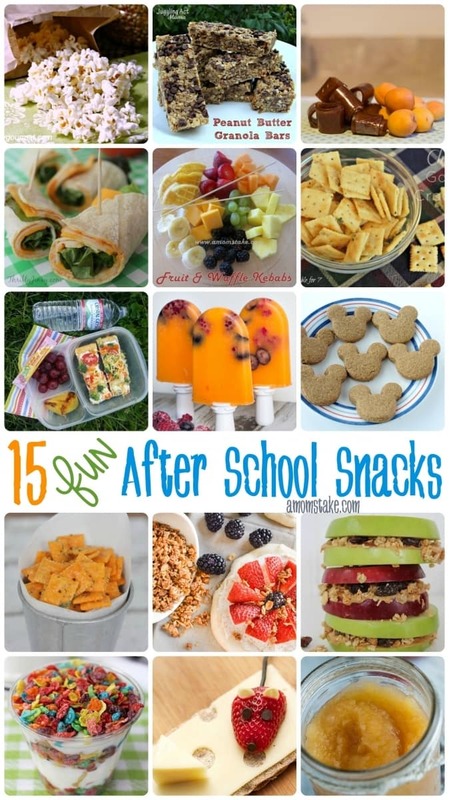 Check out Easy, Fun & Healthy After School Snacks! Head over to for my post on 25 Quick & Healthy Snack Ideas post (simple enough that they aren’t a full recipe) if you’re looking for more ideas and easy snacks! What fun after school snacks do you usually serve? Thanks for including my granola bar recipe! I have totally forgotten about my popsicle maker! I love to make the kids smoothies or popsicles made out of fruit & yogurt. These ideas will be great for after school. I’m always looking for new ideas for after school! What a great list! That fruity Pebbles parfait is colorful and fun, just like I prefer my snacks to be. Thanks for the great roundup! Pinning! Great ideas… only a few days into the school year and I’m already needing inspiration! These look great, especially the popsicles!